More than six million readers can attest to the heartbreak and courage of Dave Pelzer's story of growing up in an abusive home. His inspirational books have helped countless others triumph over hardship and misfortune. Now this former lost boy who defeated insurmountable odds to emerge whole and happy at last takes us on his incredible odyssey toward healing and forgiveness. 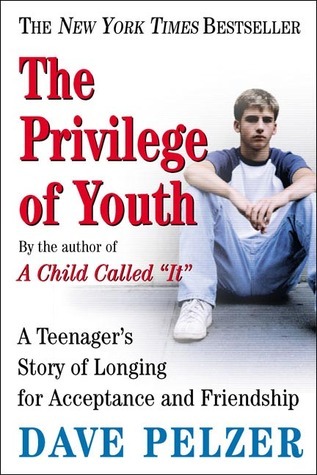 In The Privilege of Youth, Pelzer supplies the missing chapter of his life: as a boy on the threshold of adulthood. With his usual sensitivity and insight, he recounts the relentless taunting he endured from bullies; but he also describes the joys of learning and the thrill of making his first real friends - some of whom he still shares close relationships with today. He writes about the simple pleasures of exploring a neighborhood he was just beginning to get to know while trying to forget the hell he had endured as a child. From high school to a world beyond the four walls that were his prison for so many years, The Privilege of Youth charts this crucial turning point in Dave Pelzer's life. This brave and compassionate memoir from the man who has journeyed far will inspire a whole new generation of readers. Wow the story of Dave is powerful. There is hope and survival. I am hooked.